Very nice mod. 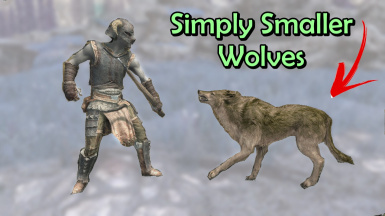 I like to have my Skyrim "Scandinavian" style (no high fantasy) and this is a good complement. 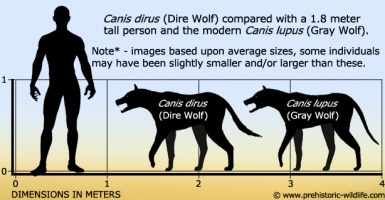 Even if som male wolfes can get a shouldr height of maby 90cm, most are only 60-80cm. 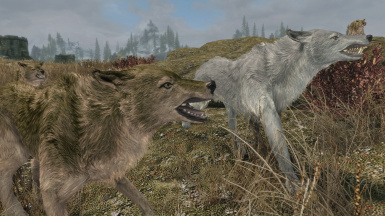 Just dandy, all I get is a download called Bigger wolves. 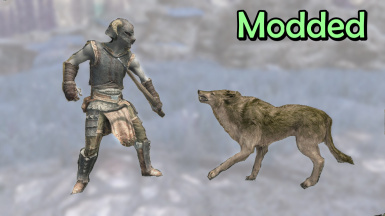 Nice idea and mod ! So 79% is 5.3% larger than 75%? I see the math you did to try to make your point, but the scale values represent percentages, so to get the percent difference all you have to do is subtract. 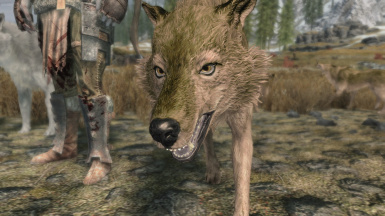 Are half of the mods necessary? of course not. 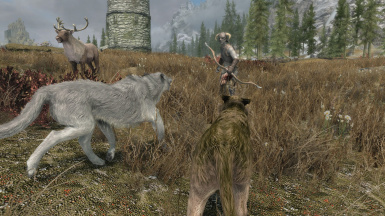 This is fun, the original wolves were just too big. 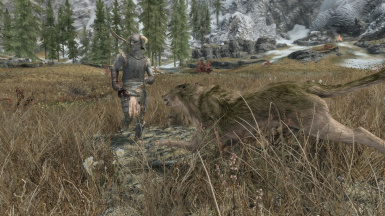 This mod is great an all (I'm probably gonna get it because those huge doggos are a little annoying), but I think you misunderstand how large wolves are. Like, they are not dog sized by any means. 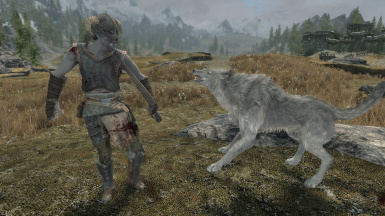 Anything to aware of using this mod, author? 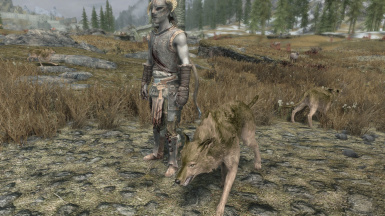 I love the wolves (check my nickname! 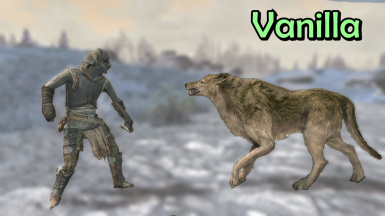 ), but I always thought the vanilla wolves looked like a small... lion or something!